Google Places isn’t a person. Why would it have a “face”? First of all, who’s in the picture? It’s not a yearbook photo of any of the moderators at the Google Places Help Forum. It’s not a goofy doppelganger of Carter Maslan, the former head honcho of Google Places. And it sure as heck isn’t Marissa Mayer, current VP of Google’s “Local & Maps” division. 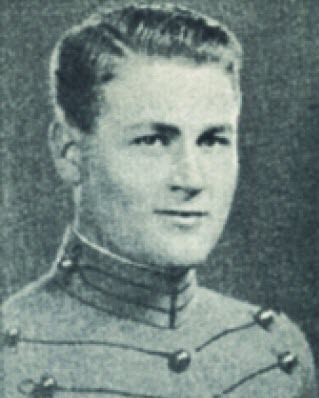 It’s Edward A. Murphy, Jr.
AKA the original “Mr. Murphy.” Of Murphy’s Law fame. You’re all too familiar with how it works in real life: the one day you decide you don’t need to pack an umbrella, it rains. But you also need to remember that the same principle applies to your local rankings in Google Places—big-time. For example, as soon as you tell 5 of your best customers to go to your Places page to write a review, they can’t find it because of Google’s latest “We currently do not support this location” bug. Or a week after you finally get your Places listing into the top-3 for your big search term, Google shakes up its algorithm…and you’re back down to position #8. Or you discover that a bunch of duplicate listings are draining your mojo, and you’ve reported the problem to Google (as you should)…but weeks go by and nothing happens. I am not a pessimist. You and I know that things often go well in life and even in the crazy world of local search—including Google Places. When things do go right, we get more customers and prosper a little more. But, for better or worse, we usually don’t notice the things that go well, or we don’t give them too much thought. They’re not what frustrate us or keep us up at night. Focusing on the obstacles in your way is not a bad thing. Even worrying about potential problems—stuff that hasn’t happened to you—is extremely useful (within reason). Without either of these faculties, you never would have been able to build or maintain your business in this competitive world. Granted: you don’t need to do well in Google Places to get more local customers. But if you aren’t visible there, you’d better have serious word-of-mouth attraction, a robust ad campaign, or an uncle who’s a Senator and who can pull strings for you. It’s also true that complete bozos can rank at the top of Places—despite their ignorance, carelessness, or lack of ethics—but only IF they get lucky. Easy come, easy go. 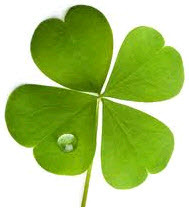 One reason you’re better than them is you don’t trust your business and your family’s finances to luck. So…if you want to attract more customers through Google Places reliably, you need to stay concerned, constantly on-alert—even downright paranoid. That’s the only way you can consistently avoid or get past some of the hurdles that Google, your competitors, and Chance will drop in your path when you least expect them to. Check your Places page and log into your Places account every few days, just to make sure everything looks OK.
Spot-check your Google Places rankings every week or so. Do a GetListed.org scan every couple of weeks (and be sure to use some of these tips for using GetListed). Read every post that’s added to Mike Blumenthal’s blog, David Mihm’s blog, SmallBusinessSEM, NGS Marketing, and CatalystEMarketing (to name a few). You need to know what’s coming down the pike. Sign up for emails from SearchEngineLand.com and pay attention to all the stuff related to local search. Follow my 10-point maintenance routine for Google Places. If you run into problems or think you’re about to, use my roundup of best Google Places troubleshooting posts as a starting point. Cultivate relationships with at least a couple of knowledgeable people you can talk with if and when you have a problem you really need to solve, a problem you really want to avoid, or a burning question you need answered. Realize that even though Google Places is a “free product,” you probably won’t get many customers out of it unless you invest a little time, money, or both. Remember that Google Places is constantly changing. Even if you’ve been #1 for the past year, that may change any minute—in which case you’ll need to set aside at least a few chunks of time in order climb back up. You should never feel too comfy. Know that you never can completely avoid bad luck. It’s always possible to get the short end of the wishbone. But it’s also true that you can sway your fortunes by being smart (see above points). Above all, keep hammering away at improving your local visibility constantly—even when you don’t immediately need a better ranking or more customers. 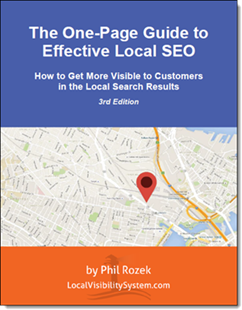 The time to start caring about local search is NOT when you desperately need visibility there. Constantly beef up your website, ask customers for reviews, and stay abreast of what’s happening in and to the “local landscape.” It’s easiest and most rewarding and most profitable if it’s a habit. The only thing I can guarantee you is that getting and staying visible in local Google will always be a bumpy ride (though arguably not as bumpy as most forms of advertising). But if you set aside a little time to learn about it, put work into it, and never get comfortable, my guess is you’ll do great and attract all the customers you need. Another great post Phil. I’d love to defend Google and say you are wrong. But you are so right! If you have a Place page and especially if you manage lots of Places for clients then Murphy lives with you and it gets SO frustrating. And about the time you think maybe it’s getting a little better, things seem to go downhill again. I still have a little faith left that things will improve. They HAVE to! Lots of good tips. Thanks for the mention. Off to Scoop, Tweet and FB this. Thanks for the compliments (and for sharing the post), Linda! My other choice for “the Face of Google Places” was Sheldon from “The Big Bang Theory” (undeniably brilliant, but lacks common sense and social graces). Here’s to hoping that Mr. Murphy doesn’t pay you (or me) a visit…today! Myself, and my clients don’t jump through even half of the hoops your article says we need to, and we consistently are within the top five in maps/local and organic searches, and have been for years. Why? Accurate, confirmable, and relevant information consistently being a part of everything we do. And making sure all “Geo” related information is not only visible in Maps, but is there in every way it can be. It’s not a big secret, but one that most don’t pay enough attention to. Once established, you really don’t need to do to much else, because it works. However, what works for one subset of businesses in Google Places doesn’t necessarily work for others in exactly the same way. Sometimes factors other than consistency and geo-specificity of business info can murder your rankings. Also, both you and I know that Google bugs—both systemic and random bugs—as well as algorithm updates are serious variables. Bugs are everywhere. There are plenty of them, big and small, that any of us can step on. And we all have to deal with Google’s sudden algo updates. To the extent you can control your clients’ rankings, it sounds like you’re doing everything right, and that’s not just “luck.” But there are always those unpredictable elements. This post is just about how to adapt to the stuff nobody can control. You probably have a good plan for dealing with the variables; my tips here are just what I personally would tell someone who wants to leave as little to chance as possible (emphasis on “possible”). Phil, like you I read all of the aforementioned blogs, you have to in this business. You are my favorite Author on the subject of local search. You’re always coming up with something brilliant. Keep up the great work! In that case, I must compliment you on your “reading list”! And thanks for your way-too-kind compliments. For every halfway-decent idea I come up with for a blog post, I also come up with about 15 lame ones. I’d more than appreciate any ideas you have for a “brilliant” post that you personally would want to read. You are spot on. I’ve developed a similar system over the last three years out of necessity. “Murphy” strikes without warning and after losing reviews a time or two I came to the conclusion that hyper-vigilance and proactive measures were the best solution. It’s so frustrating to see totally disengaged businesses ranking better (centroid issues for us mostly), and even worse when the spammers show up. FWIW, I found this post via Linda on G+ and will be following you now! Hey Sharon, thanks for weighing in. If there are any proactive steps you’d recommend that aren’t on the list, do tell! You bring up an excellent point (I think this is one point you alluded to): that unless a business owner brings his/her “A-Game,” it’s much easier for spammer types to swoop in and rank well, because the bar is so low in markets where people don’t really pay attention to (or even know about) their Places listings. And when nobody has a halfway decent website, reviews, or a good citations profile, then—all those things being equal—of course Google will just hand the top rankings to whomever’s closest to the center of town.